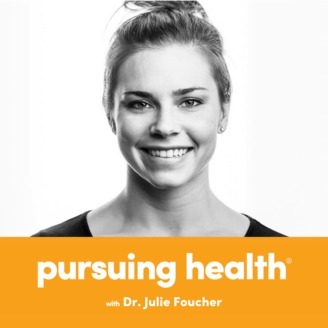 Julie Foucher is a four-time CrossFit Games athlete, family medicine resident, and member of the CrossFit Level 1 Seminar Staff. Her passion lies in combining what she has learned through CrossFit and medicine to inspire and empower others to live healthier, more fulfilling lives. In this show, she highlights influential and inspiring individuals who use lifestyle to support optimal health. Kara Saunders is a seven-time CrossFit Games veteran with four top-10 finishes under her belt, including 2nd place in 2017 and 4th place in 2018. Growing up as an only child until the age of 13, she naturally found herself turning to sports for entertainment, her favorite being swimming. At 19, a personal trainer introduced her to CrossFit, and Kara’s raw talent, hard work, and discipline quickly led her to success in the sport. Not only is Kara a decorated Games athlete, in 2017, she also became an affiliate owner, opening the doors to CrossFit Kova, in Brisbane, Australia, where she resides with her husband Matt. These days, Kara is taking a different approach to her training- shortly after the 2018 Games, she became pregnant with her first child. We caught up to discuss what it’s like to make the transition from competitive athlete to expectant mother, the training and nutrition practices Kara is applying to foster a healthy pregnancy, and how Kara is drawing from her CrossFit Games experience to balance the stress of being a business owner and first-time mom. You can follow Kara on YouTube and Instagram. 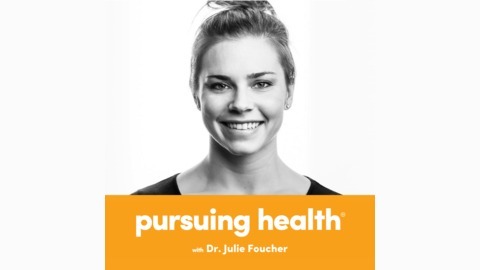 If you like this episode, please subscribe to Pursuing Health on iTunes and give it a rating. I’d love to hear your feedback in the comments below and on social media using the hashtag #PursuingHealth. I look forward to bringing you future episodes with inspiring individuals and ideas about health every other Tuesday. This episode is brought to you by Thrive Market. By cutting out the middle man, Thrive Market delivers your favorite healthy food and lifestyle products to your doorstep at 25-50% lower cost than you would spend in the grocery store. Visit http://www.thrivemarket.com/ph to receive an exclusive offer from Thrive Market for being a listener of Pursuing Health: 25% off your first order + a free 30 day trial! This episode is also brought to you by Siete Foods. When Veronica Garza was facing a series of major health challenges as a teenager, her entire family of seven jumped on board to help. Together, they adopted a low-inflammation, grain free diet. As a Mexican-American family living in south Texas, they couldn’t imagine life without tortillas and it wasn’t long before Veronica came up with a delicious solution and Siete Foods was born. Visit www.sietefoods.com to try some of their delicious grain-free, dairy-free and paleo-friendly tortillas, tortilla chips, quesos, and hot sauces yourself and use code Julie19 for 10% off your order. Disclaimer: This podcast is meant to share the experiences of various individuals. It does not provide medical advice, and it is not a substitute for advice from your physician or health care professional. The post Ep 110 – Kara Saunders on CrossFit and Expecting Baby She-Bear appeared first on Julie Foucher | Reebok CrossFit Games Athlete.